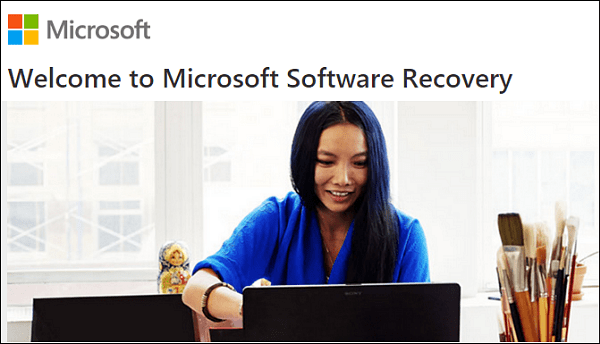 If you want to reinstall Windows 7 on your computer, you can now download the ISO disc image file from the Microsoft Software Recovery Center. If you want to reinstall Windows 7 on your computer and have a valid product key, you can now download the ISO disc image file from the Microsoft Software Recovery Center. This will allow you to reinstall the OS completely crapware free and give your computer a breath of new life. After downloading the image you can create an installation SD card or Flash Drive following these instructions. Or you can create an install flash drive or DVD by using the Windows 7 USB/DVD Download Tool (which works with other version of Windows too). Or you can use the ISO file to run a portable version of Windows from a flash drive. If you plan on doing a clean reinstall, make sure to check out our article on collecting your software product keys, including your Windows key. Note: One caveat is if your computer came with Windows 7 installed, the OEM key on the sticker on the bottom of your computer won’t work. Also remember that you can create install media for Windows 8.1, and also download the ISO for the latest tech preview build of Windows 10 (9926). The title of the article and the first line says if you have a valid product key you can use this download to re-install Windows 7. Then near the last line it says you can’t use your OEM key to install this version – so what’s the point, if you have to purchase a new product key? I, too, would like to see a response to PCJinx’ question; and, depending on the answer to his question, would this install delete all current data or could I install and all my files remain intact? I currently run Vista 64 and would like to upgrade to Windows 7. Thank you for your input. You need a Non-OEM key. Such as, if you bought your own upgrade Win-7 media. Or, built your own system and bought a Win-7 Full license with key and Media. I have a retail key . actually like 3 of them . when i run them thru this site it says it has issues with the key . i have a key checker on my computer and they are all valid. Just for information sake, OEM versions are around, but aren’t trusted. The usual thing with OEM software, is on the PC it comes with, there is a “Create re-installation CDs” or Re-Imaging… You should ALWAYS do this with new laptops and PCs. Damn MS for not giving you CDs like what happened up until Vista. Be prepared, as one day your PC will be in drastic need of formatting and recovering data.